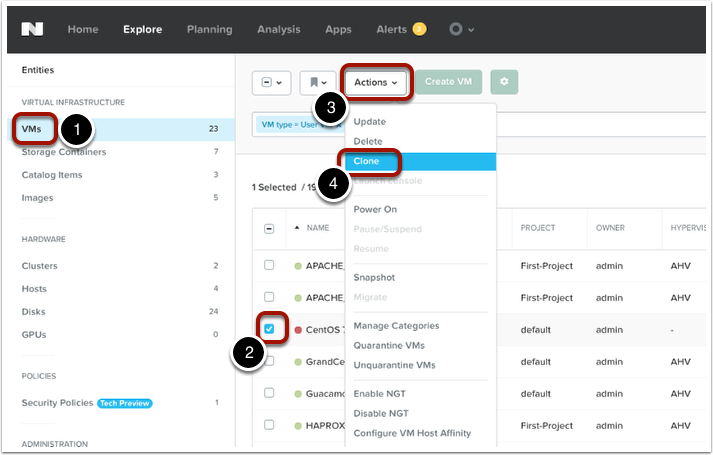 Several customers have asked if they can post or upload files to the Nutanix storage container, especially when working with automation (like Nutanix Calm) where they might need to store an xml or json file for easy access. Well, there are several ways to do this, but one that has worked well for some of my larger customers is to use SFTP to upload files to the Nutanix storage container. 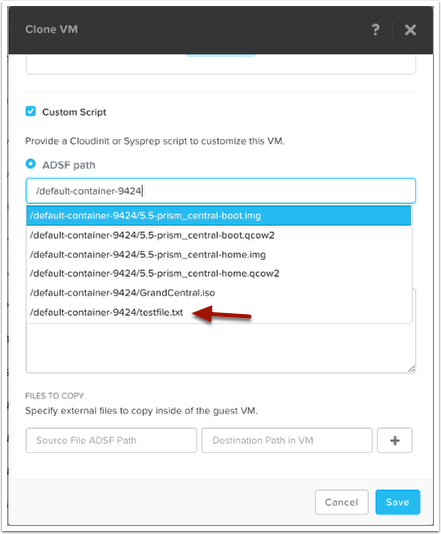 Then, once it the file is on the container, you can use it via the Nutanix Image Service, via NFS or through the option of browsing the ADSF location during the Custom Script option. Below, I’ll show you how to use this feature. When using Linux or a Mac, you can SFTP from the command line. You can also use a command line within Windows, but you will need to download psftp (from the makers of the popular Putty SSH client). This will SFTP using port 2222 and login with the "admin" user. Replace "cluster-vip" with your cluster virtual IP (VIP) address. Replace "container-name" with the container name as shown in Prism. This will log into the cluster VIP, change directories to the container-name and then show you a sftp> prompt that is ready to accept commands. To upload a file from the local directory, use the "put" command. You can use a simple "ls" command to show a list of files within the container directory. Here in my example, you can see that the "testfile.txt" was successfully uploaded. To change the directory you are in on your local machine, use the "lcd" command. In my example below, I wanted to change my local source to a different directory than where I was. You can use the command "lls" to show a list of files within the local (source) directory on your machine. This is helpful in case you don’t know what the filename is that you want to upload. 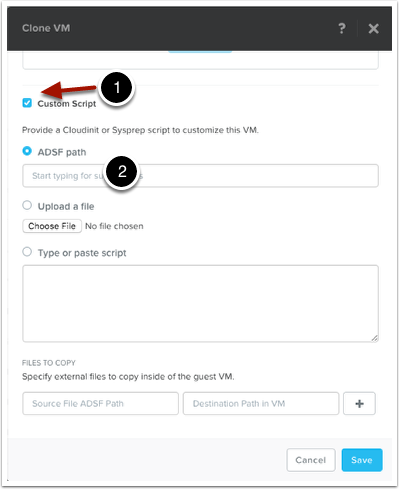 A common use-case for uploading a file to the container would be to store a sysprep or cloud-init script file on the container so that you can easily point to it during a VM creation or cloning process. I’ll walk through that process so you can see an example. The below uses Prism Central, but you could also use Prism Element to accomplish the same thing. Under the Explore menu, click on "VMs" (1), then find the VM you wish to clone from (2), click on the "Actions" menu (3), then choose "Clone" (4). At the very bottom of the Clone VM screen, you will see a check-mark box that says "Custom Script". Go ahead and checkmark the box (1). Under "ADSF path", type in a forward slash to begin the built-in location browser (2) to help populate the full path of the script file (which you uploaded via SFTP). By typing in a forward slash under the path name, the system will show you all of the containers available. Once you select the container, then type in a forward slash again, and it will list all of the files available on the container. In our example below, you can now select the "testfile.txt" file that we previously uploaded via SFTP. By clicking on the "Save" button, the clone process would continue and then run that customization script automatically once the VM booted up into its operating system. There are a few other use-cases for uploading a file to the container, but hopefully this has got you started in the right direction. Feel free to leave any feedback in the comments below. 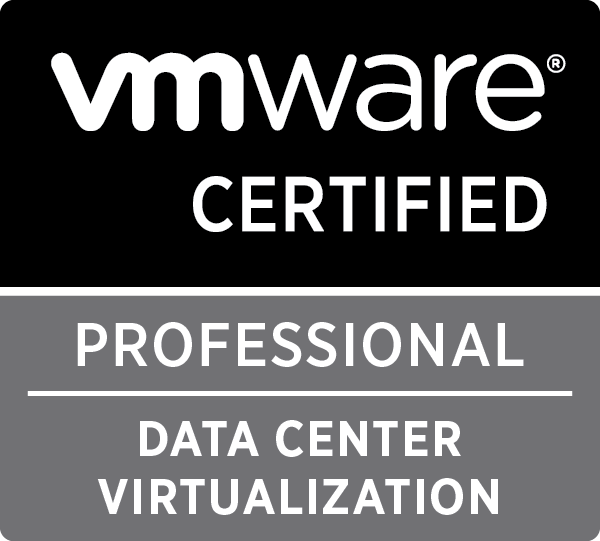 This entry was posted in Manuals & How-To's, Nutanix on March 19, 2018 by virtualdennis.